First to prove cutaneous absorption while studying at the University of Pennsylvania. First to tie both carotid arteries. Proved intra-capsular fractures (of bone) could be united. Removed the entire shoulder blade and collarbone of an osteo-sarcoma patient. Introduced a specific mixture of ether and chloroform, that gave more consistent effective anesthesic results during surgery. Brought the attention of Dr. Samuel Howe of the Perkins Institute for the Blind in Boston to Laura Bridgman, who was deaf, blind and could not speak. She, in turn years later taught the manual alphabet to Anne Sullivan, Helen Keller's teacher. 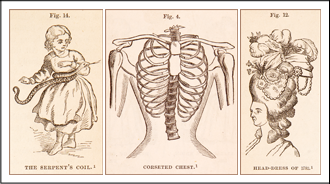 Alcohol—Davis's Experiments on Consumptive Patients. Tobacco—Influence upon life and health. Man By Nature A Vegetable Eater—Vegetarianism. Vegetable Diet in Certain Cases A Remedy for Disease—Illustrative Cases. Milk and Vegetable Feeding for Surgical Operations—Illustrative Cases. “After receiving his A.B. from Dartmouth College (1803), Mussey took a bachelors degree in medicine from Dartmouth in 1805. He practiced in Ipswich, Mass. for three years before moving to Philadelphia, where he received a medical degree from the University of Pennsylvania in 1809. 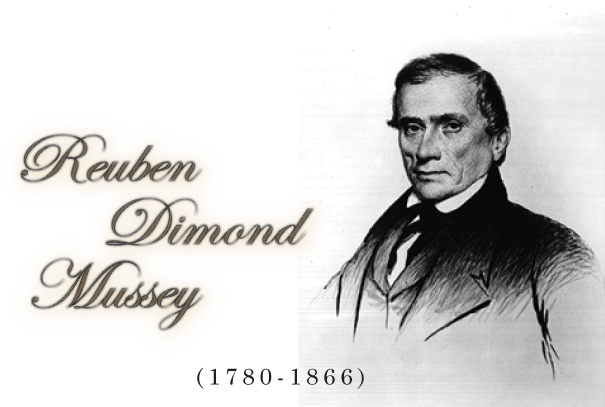 For most of the period between 1809 and 1814, Mussey resided in Salem, Mass., where he established a successful surgical and obstetrical practice. During this period he took a second medical degree from Dartmouth (1812), and that same year became chair of anatomy and surgery in the Medical Department of Dartmouth College. Two years later he was made chair of medical theory & practice as well. It was not uncommon at this time for physicians to lecture at multiple medical schools. During the 1830s Mussey was also professor of surgery at Bowdoin College in Maine (1831-1835) and lectured at Fairfield Medical College in New York State (1836-1838). In 1838 Mussey resigned his faculty appointment at Dartmouth and moved to Cincinnati, where he joined the faculty of the Medical College of Ohio. In addition to his teaching duties, Mussey established a large surgical practice in Cincinnati and was an active leader in the medical profession, serving as the 4th President of the American Medical Association (AMA) in 1850. He remained on the faculty of the Medical College of Ohio until 1852, though he continued to teach at Miami Medical College, to which he had been appointed in 1851. Mussey resigned from this latter position in 1857. 1Howard Atwood Kelly, Walter Lincoln Burrage. The Twentieth Century Biographical Dictionary of Notable Americans. Vol 2. (Google eBooks, public domain) p211. 2Christopher Hoolihan. “The Reuben D. Mussey Collection at the Henry R. Winkler Center for the History of the Health Professions, University of Cincinnati Libraries.” October 2010. 3S. B. Nelson & co., 1894. History of Cincinnati and Hamilton County, Ohio, p237.